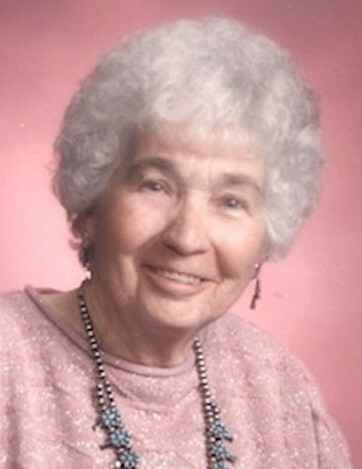 Betty Jean Pew Motes, age 92, passed away peacefully January 26, 2019 at her son’s house in Nephi, Utah. Betty was born March 20, 1926 in Mesa, Arizona to Walter Harvey Pew Jr. and Anna Jane Kleinman. She married Kempton E. Motes on January 31, 1946 in Mesa, Arizona. Their marriage was later solemnized in the Mesa LDS Temple, April 3, 1947. They made Nephi, Utah their home. Betty served a lifetime of church callings in the 3rd Ward. Her passion was music. She had a beautiful voice. She lead the singing for many years. One passion she enjoyed was calling everyone and singing “Happy Birthday” to them. Betty was surprised some of the 3rd Ward members came and sang to her. She also sold Farm Bureau Insurance. She was a member of the Women’s American Legion. She enjoyed getting girls for Girls State. Betty lived a very righteous, loving, caring and very healthy life. Betty’s unwavering love and support will be truly missed by her children, grandchildren, great-grandchildren, brothers, nieces and nephews. Betty is survived by her daughter Anna Marie (Billy) Lunt, son Bill (Cheryl) Motes, all of Nephi; foster son Kee (Dorthy) Nez, Tuba City, Arizona; 18 grandchildren, 14 great-grandchildren, two brothers. Preceded in death by her loving husband Kempton E. Motes, son Phillip K. Motes, granddaughter Emily Jean Motes, her parents, two sisters, three brothers. Funeral services will be held at 11:00 am on Friday, February 1. Viewing one hour prior at 10:00 am at the 3rd Ward Building, 1125 N. 400 East, Nephi, Utah.